I realized that I never posted photos from the potluck at church...or any details about my small going away party thrown by my friends. A few weeks before I left the country, my church hosted a potluck in my honor. I know I touched on this event briefly, but it deserves another mention. 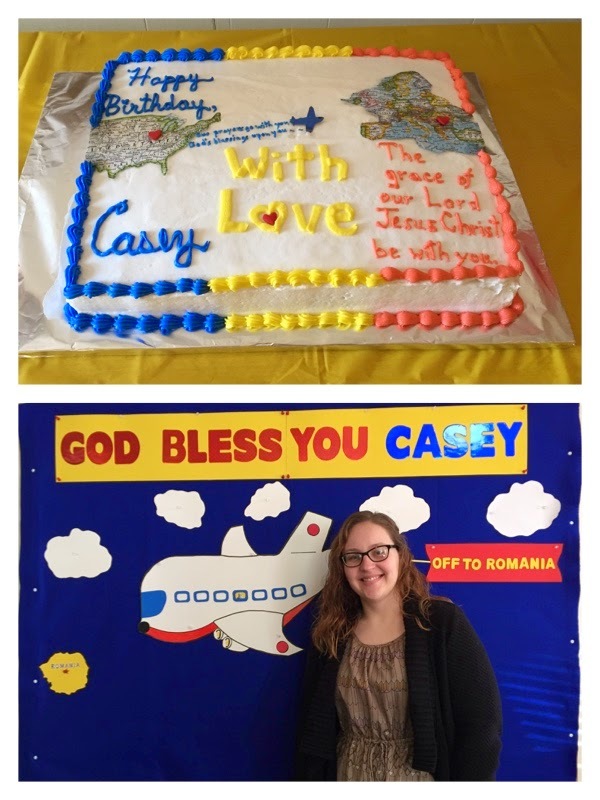 My church family has been so extremely supportive...of my life really :) I was going to say that they've been supportive of my Romanian adventure, but it's been so much more than that! I might be biased, but my church throws some of the best potlucks around. It was a good Sunday to say the least. Next up, the "La Revedere" Party that a few of my friends threw for me on the day before I left. 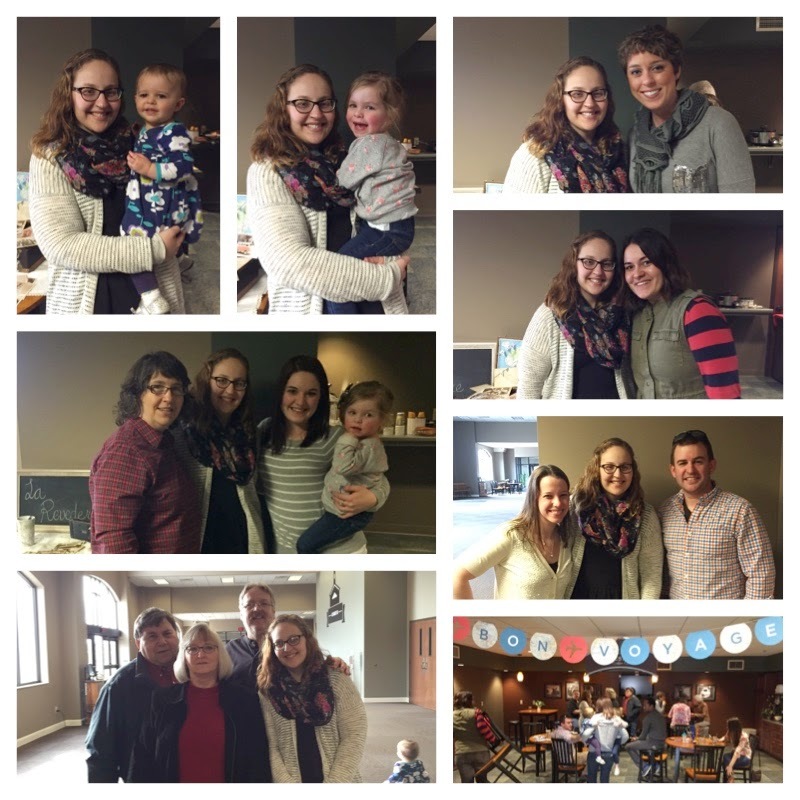 Another fabulous Sunday afternoon full of food, encouraging words, and more teary eyes. Christi and Erica planned an adorably decorated and fun gathering for my family and friends. They served most of my favorite foods, which included black olives, sunflower seeds, no-bake cookies, Reese's, meatballs, weenies, etc. Oh and coffee! Did I mention that I have some of the best friends...like of all time?! Well I do. Everyone who attended the party filled out a travel themed postcard. I saved them and read them when I was in the London airport. They were the sweetest. I need to find a way to display them in my room. I am so thankful for the time spent with those who attended. Thanks to everyone who planned, helped, attended, etc. Trying to point to Romania.